Downton Abbey is sooo 2011... 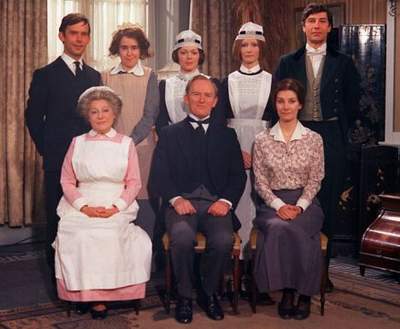 Here at Doyouremember.co.uk we're glued to the Beeb's latest remake of Upstairs, Downstairs. Starring Ed Stoppard as Sir Hallam Holland and Keeley Hawes as Lady Agnes Holland, the period drama based on the original (pictured above), hasn't lost any of its charm. Filled with sharp-as-cut-crystal one-liners, sumptuous costumes and dramatic storylines, it's a must-watch. You may well remember the original, which aired in 1973 on ITV and followed the lives of the servants downstairs and the masters upstairs at 165 Eaton Place, London, during World War I. It starred Jean Marsh in the role of Rose, who is also involved in the Beeb's remake. We'd love to hear what you think of it! She was once America's sweetheart, famed for starring in hit movie The Bodyguard opposite Kevin Costner, and for a successful music career. So it's a sad day that we have to say goodbye to Whitney Houston, aged 48. The singer was discovered dead late last night in a Beverly Hills hotel room. It comes on the eve of The Grammy Awards in Los Angeles, which she had been due to attend. 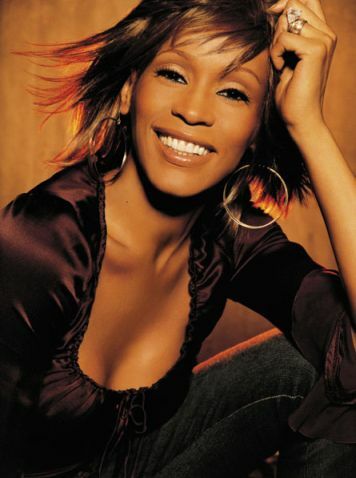 Born in 1963, Whitney Houston grew up in New Jersey, Houston, with a childhood steeped in gospel and soul music. Her cousin was Dionne Warwick and godmother Aretha Franklin. With what must be one of the finest voices of all-time, Whitney spent much of the 80s and 90s at the top of the charts (with 11 US number ones), collecting many well-earned awards, including a number of Grammys. Her biggest hit 'I Will Always Love You' remains the best-selling single by a female artist of all time, while others including 'The Greatest Love Of All', 'I Have Nothing' and 'Run To You'. She also achieved great reviews for her acting in The Bodyguard and Waiting To Exhale. More recently, her life had been tainted by drug abuse and a reportedly violent marriage to singer Bobby Brown which ended in divorce in 2007. All of this had unfortunately taken its toll on her voice. Fans and celebrities have come out in force to pay their respects to Whitney, with Dolly Parton saying: "I will always be grateful and in awe of the wonderful performance she did on my song ' I Will Always Love You'" and Lionel Ritchie: "She was just a gift in voice". We'll be celebrating Whitney's life by watching The Bodyguard - one of our favourite films of the 90s. We hope you'll be joining us.